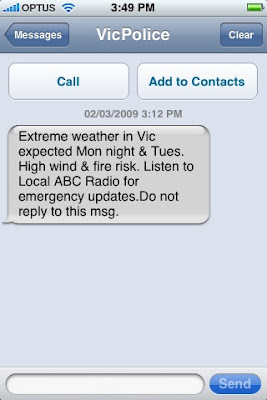 Text message from the Victoria Police, received this afternoon. I didn't subscribe to this service and seem to have got it randomly. No one else I know got one. Is the weather tomorrow expected to be that crazy!? UPDATE: Everybody in Victoria with a mobile got one. Allegedly.